Here's my first Glasgow show for STV. In this 'Tea for a Tenner' slot, I show you how to make Vada Pav, a satisfyingly spicy street food twist on the veggie burger. To make things even more delicious, I'll show you how to make Bindi's Special Salad, a tasty superfood treat of coriander, mint, parsley, bulgar wheat, mango, spring onion and pomegranate. Don't forget to subscribe to our new YouTube channel! Bindi has always been delighted to offer Edinburgh diners the opportunity to enjoy authentic, affordable vegetarian cuisine. Taking things in a new direction, our head chef Bindiya Kanani will be regularly featured on STV's Live at Five show. 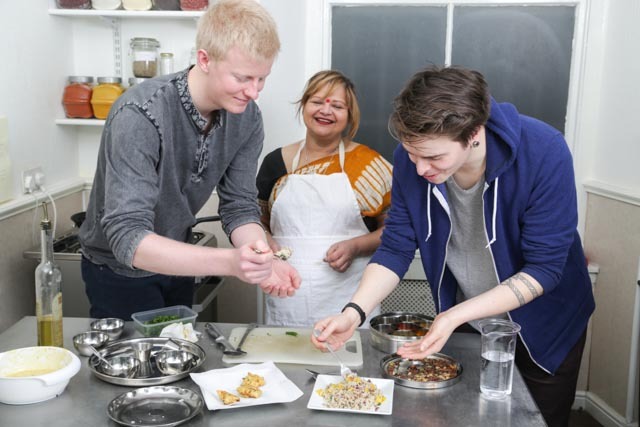 Though the restaurant is now closed, we're still doing a series of our ever popular cooking classes and traditional Gujarati feasts. We're also taking it on the road - adding to our regular classes at Edinburgh School of Food and Wine with private events at select locations by appointment and some mouthwatering catering options. We believe in the freshest natural ingredients for our vegetarian cuisine and only prepare in advance those dishes which require additional time for complex flavours to marry together. From light, calorie conscious lunches to more extravagant treats, our versatile menu has something to suit every taste, and every appetite. Following our successful series of dinner events with the Edinburgh School of Food and Wine, we've incorporated the joy of eating, learning and cooking into our restaurant experience. Bindi is for those who love authentic Indian cuisine, the kind of dishes passed on from mothers to daughters, generation to generation. Our dishes are made with love and curiosity, mixing tradition with the tastes of modern living. 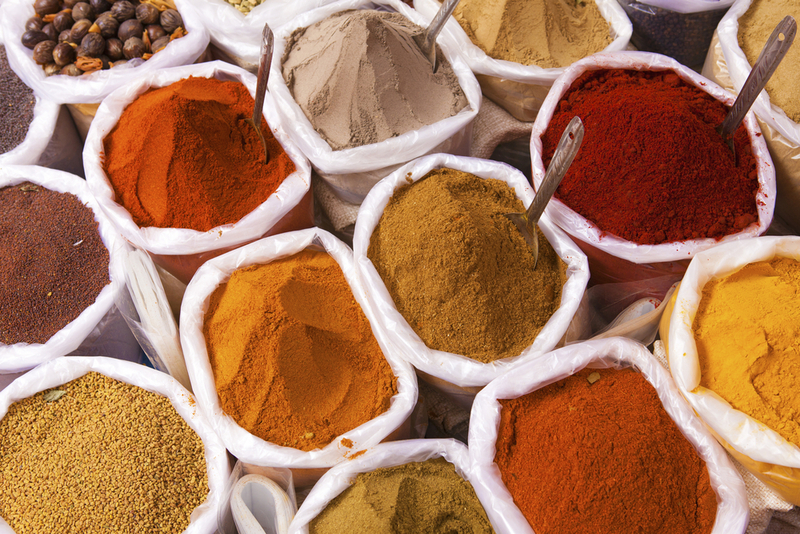 Everyone has a favourite Indian dish, but we gravitate toward well known favourites, rather than experiencing the full spectrum of traditional Indian cookery. Our menu is filled with our founder's favourite dishes, based on a fusion of cuisines from Gujarat (a north western state of India), Uganda and the UK - all the places her family call home. In addition to our regularly scheduled July classes below, we'll be running on-demand pop-ups and classes in August - just let us know dates that work for you and we'll be in touch to make it happen! Please click here to register your interest and book for any of our events - be sure to let us know which date and time you are interested in and how many tickets you require. We'll mail you back with full details a link to our payments system. If you'd like to host a pop up event, or arrange a private banquet then please get in touch, we'd be happy to help. Traditional Gujarati cuisine has always been taught in person, passed on from generation to generation with insight, humour and practical observations that can't be easily captured in a cookbook. Each class includes full demonstrations and a beautifully prepared meal. Terrific value at only £55, we have limited places for each session, so be sure to book in advance. Don't forget, our popup dining experiences and classes make the perfect gift!